It's probably happened to every Civil War round table president at one time or another. The scheduled speaker cancels at the last minute. What to do? 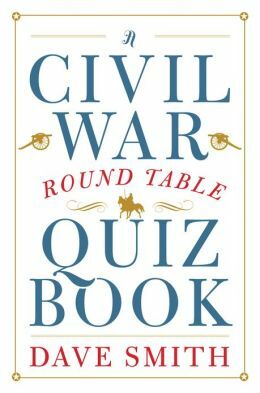 Have a Civil War quiz session. Who knows enough questions to ask? Dave Smith does. Born as part of his own round table's monthly meetings, Smith has gathered hundreds of interesting questions (and their answers) and topically arranged them for easy reference. 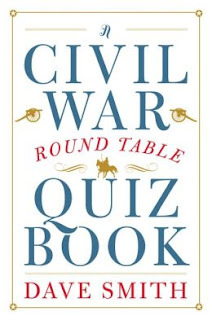 If this were a game, it would be advertised as "holding hours of wholesome fun for experts and novices alike" and "makes an outstanding gift for all your Civil War enthusiasts." But it's not a game and many of its users may well have significant expertise on a variety of Civil War subjects, both mainstream and arcane. Smith's book stands up well under the most scholarly scrutiny. To his credit, Smith seems to have vetted his answers from reputable sources among his personal 450 volume Civil War library, avoided the obvious slippery slopes found on the Internet, and, like a reporter he once was, requires multiple confirmations to substantiate his facts. The answers are thorough and reflect the complexity of historical knowledge inherent in long ago events. Nevertheless, Smith rightly reminds readers "Even the books of respected scholars are not totally free from errors. Let the reader beware." Smith gets it right, mostly. The questions range from battles and leaders to bridges and railroads. He covers the war on the water and the war on the home front. There are nine questions about Joneses and 10 about Smiths. Union General George Gordon Meade gets a whole quiz to himself; Ben Butler gets two. There's even a vocabulary quiz. The answers to many will send even the most enthusiastic buff scurrying to reference books indexes. However, the only person to substantiate Oliver Wendell Holmes' claim to ordering President Lincoln off the rampart of Fort Stevens during Jubal Early's raid on Washington was Holmes himself. And the leading scholar on the Lincoln assassination strongly doubts that Edwin M. Stanton or anyone else said "Now he belongs to the ages" when the president died. A word to writers looking for interesting topics to research. Smith's book is filled with interesting anecdotes that could be expanded into articles. So, round table presidents, share this interesting volume with your members. Just make sure you get it back.